Israeli Prime Minister Benjamin Netanyahu and Defense Minister Avigdor Lieberman approved plans for the construction of 2,500 housing units in illegal Israeli settlements in the occupied West Bank on Tuesday, Israeli media reported. According to The Times of Israel, the vast majority of the new housing will be built in the settlement blocs of Ariel, Etzion, and Maale Adumim — the latter being the focus of a Knesset bill seeking to annex it to Israel. The Jerusalem Post, meanwhile, said that 100 of the units would be built in the settlement of Beit El, as part of a previous agreement to provide housing to settlers who were ousted by Israeli authorities from the illegal outpost of Migron in 2012. “We’re building, and will continue to build,” Netanyahu reportedly said after the announcement. Israeli newspaper Haaretz quoted Lieberman as saying that “we are returning to life as normal in Judea and Samaria,” using an Israeli term for the West Bank. Lieberman also reportedly stated that he would seek permission to build a “Palestinian industrial park” in the southern occupied West Bank district of Hebron. While Lieberman said that the industrial park would be “one of the largest industrial zones in the West Bank,” it remained unclear whether it would fall under Israeli jurisdiction or be administered by Palestinians — and if so, why it needed approval from the Israeli security cabinet. Spokespersons for both Netanyahu and Lieberman did not immediately respond to requests for comment on the matter. Palestine Liberation Organization (PLO) Executive Committee member Dr. Hanan Ashrawi slammed the settlement construction plans on Tuesday. The move comes only two days after Netanyahu pledged to lift all restrictions on settlement construction in occupied East Jerusalem, and to advance settlement expansion in the West Bank. Meanwhile, Israel’s Jerusalem municipality approved permits for the construction of at least 566 new illegal Israeli settlement units in occupied East Jerusalem on Sunday, with another 105 housing units planned in Palestinian neighborhoods of annexed East Jerusalem. It remained unclear whether the newly approved construction in the Palestinian neighborhoods would be for the purpose of Jewish-only settlements. 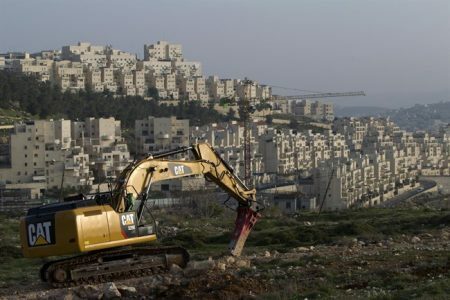 A representative from the Applied Research Institute Jerusalem – (ARIJ) told Ma’an News Agency, on Monday, that their organization was investigating the municipality’s approvals. The decisions to expand settlements in the occupied Palestinian territory come as Israeli politicians were reportedly putting such plans on hold until after the inauguration of US President Donald Trump, last Friday. Despite former US President Barack Obama having routinely condemned Israel’s settlement expansions, US officials failed to take any concrete actions to end settlement building under his administration, and instead seemingly encouraged the enterprise through consistent inaction over Israel’s violation of international law, and continued support of the Israeli government through inflated military aid packages. Trump, meanwhile, has been a vocal supporter of Israel and its settlement expansion. Rights groups have highlighted that each of the some 196 government-approved Israeli settlements scattered across the occupied West Bank and East Jerusalem, as well as the scores of settler outposts deemed illegal by the Israeli government, are all built in direct violation of international law. While members of the international community have rested the solution to the Israeli-Palestinian conflict on the discontinuation of illegal Israeli settlements and the establishment of a two-state solution, Israeli leaders have instead shifted further to the right. More than half of the ministers in the current Israeli government have publicly stated their opposition to a Palestinian state and advocated for annexation of the West Bank. A number of Palestinian activists have criticized the two-state solution as unsustainable and unlikely to bring durable peace, proposing instead a bi-national state with equal rights for Israelis and Palestinians.